HEMET >> When Samantha Barragan made her first appearance in a wrestling gym, it was snug in a carrier, riding on the back of her father. That was pretty much the last time she got a free ride in the sport. Born into the sport as the daughter of a coach who used to wrestle, Barragan’s success in the sport might involve some genetics. It might involve growing up with wrestling all around her. What it definitely involves is a lot of hard work. 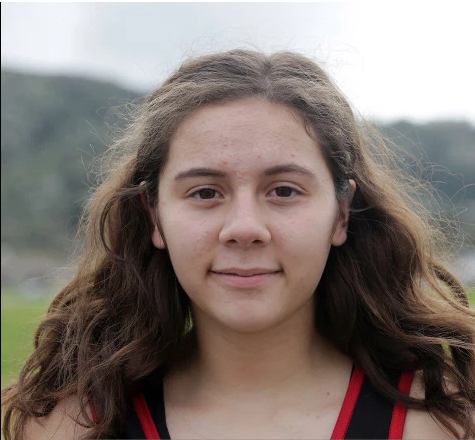 The work paid off last year when, representing Hemet High, she brought home a fifth-place finish in the state tournament as a freshman. The road back to state begins Saturday at the Eastern regional qualifying tournament at Hillcrest High. Barragan was too young to remember those first backpack rides to the gym. She does remember a couple of years later, being surrounded by the sights and sounds of the sport, and thinking it seemed like fun. She began wrestling at 8, and it was soon after that the line was crossed from a fun activity to something more. For Samantha, the “sleep on it” part was a formality. She was in. In her early years of competing, girls wrestling was still in its formative stages. That meant many of her matches were against boys. And, as her father warned her, boys will be extra aggressive against her because losing to a girl is something none of them want to deal with. Monica, however, was reassured by her husband’s ability to coach Samantha out of trouble and by Samantha’s enthusiasm. Oh, and all that winning. Samantha placed second in age-group state tournaments for five straight years before reaching Hemet. Gabriel said the top quality needed for wrestling is “meanness” and he sees it in his daughter. The soft-spoken Samantha smiles at the word and says her businesslike approach can be mistaken for being cold. To Samantha, it’s work, which doesn’t mean it can’t be fun. That number is getting smaller. Moving from the 111-pound class to 121 pounds, Barragan is 37-3 this season. She has left a strong impression on Hemet boys wrestling coach Chris Santana. Santana said that effort and her athleticism can take her far, including potentially the Olympics, which is her dream. A veteran as a high school sophomore, Barragan said she has made some adjustments to the all-business approach. For the most part, though, it is head down and straight ahead. Take the losses and turn them into wins, as she did last year when she beat senior Clare Garcia of San Marino after losing twice to her during the season. Do the work and accept the results.